Mexican-American gangster Henry Reyna (Daniel Valdez) and others in his group are accused of a murder in which they had no part. They are then rounded up by the police because of their race and their choice of clothing. The gang members are thrown into prison and put through a racist trial. 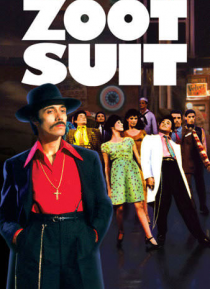 As Henry considers his fate, he has a conversation with El Pachuco (Edward James Olmos), a figure from his o… wn conscience who makes him contemplate a choice between his heritage and his home country.